It seems winter has finally arrived in the Northeast. With temperatures barely breaking freezing these past few days, my craving for a nice warm and hearty stew began. 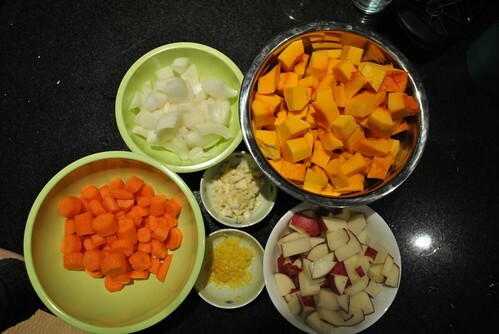 I love making stew because it is adaptable, easy and just by scaling up a little, can feed a small army. 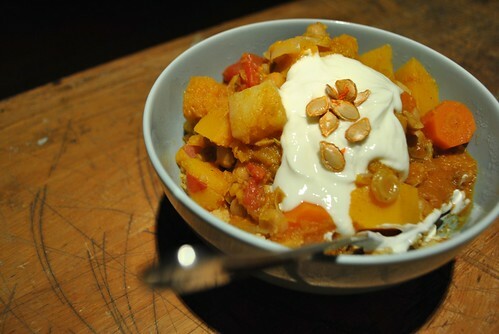 This weekend I had a Moroccan Stew on the brain. I am lazy, and I hate having to sanitize everything after handling meat, so this stew is vegetarian (plus that whole flexitarian thing plus the burger I had for lunch). The stew I made is Moroccan like, and not necessarily Moroccan for real. The only difference between this stew and any other stew I make are the vegetable combinations and the spices. A cinnamon stick, some ground cinnamon (0.5 teaspoon about), ground cumin (2 teaspoons) and garam masala (a little more than 0.5 teaspoon) to be exact. So, what is in my stew? A Sweet onion, chopped and put into a dutch oven over a medium flame with olive oil. Into that went the spices and 4 chopped garlic cloves. 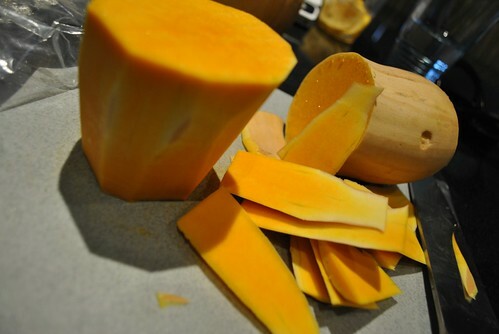 About a 3 pound Butternut Squash (all you really need is a 1 pound squash. I just have issues judging weight), peeled and cut into 1″ cubes. You can save yourself a lot of effort and risk of cutting your hand off with a knife and buy it cubed and packaged, but what’s the fun in that? 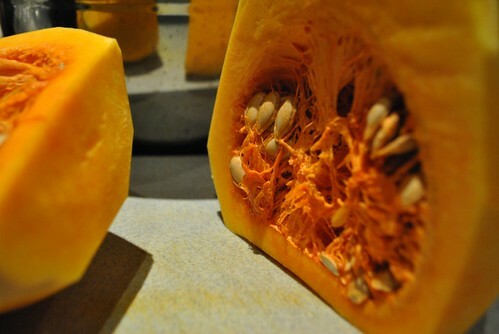 Besides, the seeds can be saved from the squash and toasted for later! Let that simmer away until the squash and potatoes are done. 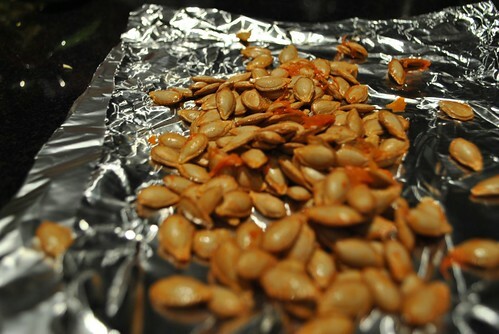 Once they were done, I stirred in lemon zest from one lemon and small bowlful of golden raisins. Letting the stew sit while the raisins plumped up a bit, I added 0.5 cup of boiling water to 0.5 cup of cous cous and covered for at least 5 minutes. 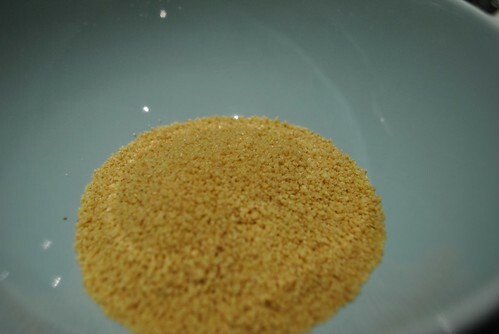 Fluff the cous cous and add some stew on top. Garnish with a dollop of greek yogurt and enjoy! Super healthy, super hearty and delicious. How easy was that? I ended up making enough for 6 people (cous cous for two). Therefore I have lunch covered for the upcoming week! Feel free to sub in or sub out any of the vegetables based on your preferences. Increase or decrease the amount of liquid (or even type) added. Omit the potatoes all together or throw in an eggplant or squash! Whatever your heart desires, that is the beauty of a stew! 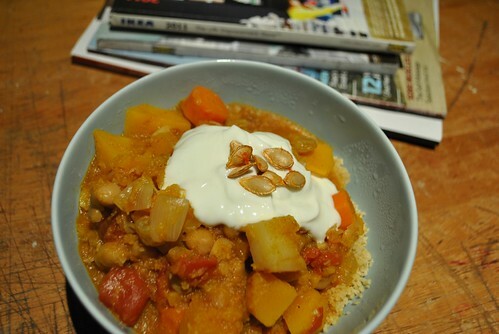 This entry was posted in Dinner, Soup, Uncategorized and tagged Healthy, Moroccan, Stew. Bookmark the permalink.